There are 66 Assisted Living Facilities in the Rodeo area, with 2 in Rodeo and 64 nearby. The average cost of assisted living in Rodeo is $3,500 per month. This is higher than the national median of $3,346. Cheaper nearby regions include Hercules with an average starting cost of $3,000. To help you with your search, browse the 145 reviews below for assisted living facilities in Rodeo. Better rated regions include Hercules with an average rating of 5.0 out of 5 stars. Caring.com has helped thousands of families find high-quality senior care. To speak with one of our Family Advisors about assisted living options and costs in Rodeo, call (855) 863-8283. Rodeo is a North Hills community in the coastal strip of Contra Costa County. Similar in size to many of the other communities in the surrounding hills, Rodeo is home to 8,600 people, 13.4 percent of whom are seniors age 65 and over. At least 66 assisted living facilities operate in and around Rodeo to serve area seniors who wish to live with as much independence and privacy as their health and physical conditions allow. 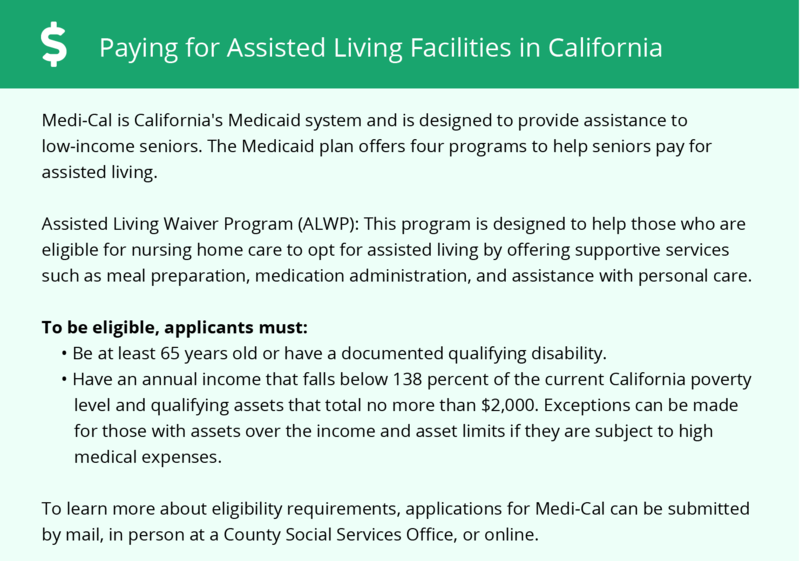 These facilities, like residential care communities in the rest of the state, are licensed through the California Department of Social Services' Community Care Licensing Division. The weather in Rodeo is Mediterranean, with warm summers and very mild winters. Summertime highs in Rodeo average 88 degrees, with a stiff Delta breeze that takes much of the edge off in August. Winter lows average 35 degrees overnight. Rodeo gets a little over 20 inches of rain a year, which triggers springtime allergen blooms in the surrounding hills that can aggravate some seniors' asthma. The cost of living in Rodeo is about 66 percent higher than the average national cost of living. This is actually somewhat less expensive than the cost of living in California generally, which is 69 percent higher than the national rate. Healthcare can be expensive in Rodeo, with average costs 2 percent higher than the average elsewhere in America. Crime rates in Rodeo are generally low. Rates of reported crime in all categories combined are just half the national average, while violent crime is significantly less common still. Some property crime, mostly theft and some vandalism, occurs in Rodeo's small downtown area, though the more rural hilltop developments around the city remain very safe. Bay Area Rapid Transit (BART) provides bus service to all parts of the San Francisco Bay Area, including the hills above Martinez where Rodeo is located. BART buses and trains are all ADA-compliant and equipped for riders with limited mobility, and seniors with transit IDs can ride both at a discount. Dial-a-ride service is available throughout Rodeo, sometimes with same-day booking. The Rodeo area is home to world-class medical facilities, including those specializing in brain health and dementia care such as John Muir Health and Contra Costa Regional Medical Center, in the event of medical emergencies or illness. Rodeo has an array of community resources for seniors, including the Rodeo-Hercules Fire District, an organization that offers fire safety inspections, smoke detector replacement and free blood pressure screenings to seniors in Rodeo, as well as nearly half a dozen senior centers. Assisted Living costs in Rodeo start around $3,500 per month on average, while the nationwide average cost of assisted living is $4,000 per month, according to the latest figures from Genworth’s Cost of Care Survey. It’s important to note that assisted living rates in Rodeo and the surrounding suburbs can vary widely based on factors such as location, the level of care needed, apartment size and the types of amenities offered at each community. 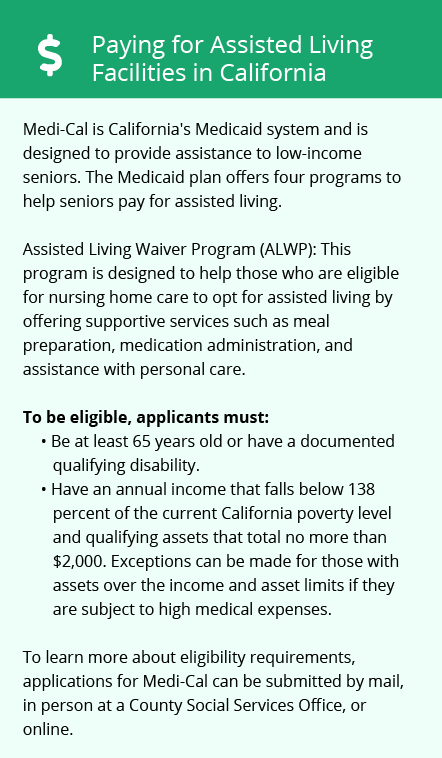 Rodeo seniors who meet the income and asset eligibility standards for Medicaid may be able to get a Home and Community Based Services (HCBS) waiver from the state. This waiver helps cover the cost of assisted living in Rodeo. Rodeo and the surrounding area are home to numerous government agencies and non-profit organizations offering help for seniors searching for or currently residing in an assisted living community. These organizations can also provide assistance in a number of other eldercare services such as geriatric care management, elder law advice, estate planning, finding home care and health and wellness programs. To see a list of free assisted living resources in Rodeo, please visit our Assisted Living in California page. Rodeo-area assisted living communities must adhere to the comprehensive set of state laws and regulations that all assisted living communities in California are required to follow. Visit our Assisted Living in California page for more information about these laws.